A synthesized and nano-sized Al(OH)3 powder that promotes the generation of hydrogen from a Al/water reaction is demonstrated. In this study, aluminum hydroxides are synthesized using sodium aluminate NaAlO2, distilled water and ethanol. The mole ratio of ethanol/water and the concentration of sodium aluminate in solution affect the crystal structure, morphology and sizes of the Al(OH)3 powders significantly. These Al(OH)3 powders contain both gibbsite and bayerite phases and exhibit excellent catalytic power on the hydrogen generation of Al/water system. It is proposed that two major characteristics of Al(OH)3 powders dominate the catalytic power. That is, the surface area and the high-energy sites of Al(OH)3. When mole ratio of ethanol/water is between 0.3–0.6 and the concentration of NaAlO2 is higher than 0.0167 g/ml, the synthesized Al(OH)3 powders are in a more gibbsite-oriented and plate-like structure. Other than above conditions result in a more bayerite-oriented and particulate-like structure. The plate-like structure exhibits strong catalytic power due to the existence of high-energy sites on the edge of plates even its surface area is not so high. The particulate-like structure may also have strong catalytic power when it has a high surface area. By taking advantage of the exothermic reaction, ~ 100% yield of hydrogen can be produced from 1 g Al/10 g water system within 30 s using 3 g synthesized Al(OH)3. 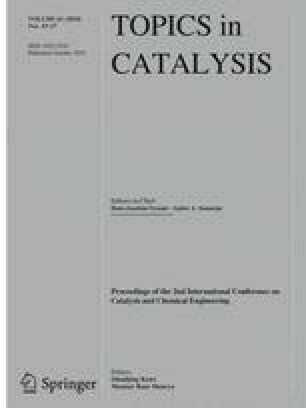 A aluminum waste scrap can also react with water using these effective catalysts and generate ~ 95% yield of hydrogen within 8 min. Samikannu Prabu and Shih-Chieh Hsu have contributed equally. We appreciate the financial support from National Science Council, Taiwan, R.O.C. Grant Number: MOST 106-2113-M-033-008.